Christiaan Bezuidenhout sparked into life and into a two-shot lead at the Made in Denmark on Friday with local hero Thorbjorn Olesen still in prime position to secure Ryder Cup qualification. 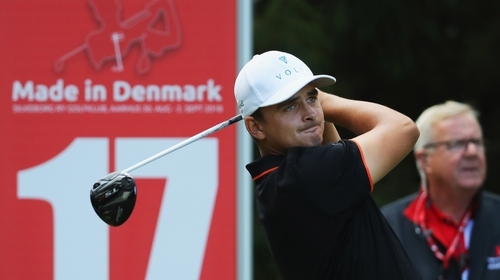 South Africa's Bezuidenhout followed up his opening round 66 at Silkeborg Ry Golf Club with a seven-under-par 65, sinking four successive birdies from the ninth hole after the turn for home. Further gains on the 14th and 16th ensured he finished with 13-under overall heading into the weekend. Jonathan Thompson and Lee Westwood are on minus eleven and sit in joint-second. "It's been great to feel some confidence coming back into my game and hopefully I can keep going from here because I have some work to do to keep my European Tour card," he said. "I have actually been playing well but either just missing cuts or not making good progress at the weekend to kick on and get better results but hopefully this good play will continue from here." Olesen, who is occupying the sixth place in the points list that will determine Thomas Bjorn's European Ryder Cup team, finished on the cut line at two-under after a sluggish 69. Eddie Pepperell and Matt Fitzpatrick are the only two players who can leapfrog Olesen in the Ryder Cup qualification with a victory this week, but they sit eight and nine strokes off the lead respectively after 36 holes. "The putts seem to have dried up a little but hopefully it can finally turn around over the weekend," Fitzpatrick said. "Obviously I need a very low scoring weekend to win but that is not impossible. It will take a silly low weekend, though. I think if I could shoot a couple of 64s then I would have a chance." Ryder Cup vice-captain Westwood, who is chasing his 24th European Tour title, fired a 65 to move up to second spot at 11-under alongside overnight leader Jonathan Thomson.